You can always say that you forgot about “daylight savings time” (which doesn’t exist in all countries). You just might get away with it, except for one tiny fact: there are many automatic time zone converters 10 Ways to Visualize Time Zones Around the World & Be on Time 10 Ways to Visualize Time Zones Around the World & Be on Time Read More that you can use, so you don’t really have an excuse. MyTimeZone is one of the more low-key browser tools you can use, existing as an easy-to-use Chrome extension. You might not even notice it until you come across a timestamp or a mention of a meeting scheduled in an email. As you can see in the introductory video above, the extension helps you convert any time zone to your local time or any other. All you have to do is highlight the original time zone and then right-click. The converted time is automatically displayed. My Time Zone is one of the more effortless converters I have come across. It supports all time zone formats (GMT, UTC, etc.) and also factors in daylight savings time automatically. Yes, the ability to set more than one time zone is one of the gaps still unfilled, but I think that would defeat the idea of simplicity on which this extension was designed. 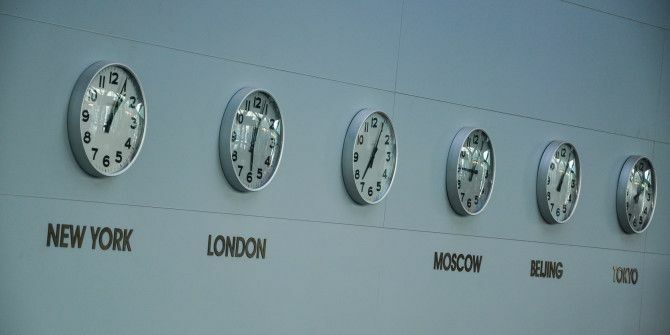 After all, we can already add multiple time zone clocks in Windows and have the time zone change automatically with our location in macOS Sierra. Managing different time zones isn’t a problem anymore. And, My Time Zone is a neat little solution that succeeds in making the process even easier. Try My Time Zone from its website or from the Chrome Web Store. Is this simple converter enough for your meeting schedule toolkit? Which is your preferred time zone converter that has this beat? Explore more about: Browser Extensions, Google Chrome, Time Management.